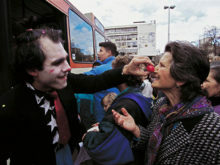 In February 1995, Clowns Without Borders Spain and Clowns Without Borders France joined their forces for a show in Sarajevo. 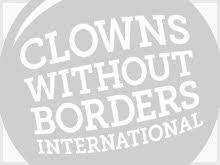 In December 1995, Clowns Without Borders France and Clowns Without Borders Spain returned together to Sarajevo to attend refugees. 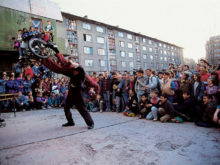 In November 1995, Clowns Without Borders Spain continued its action in Bosnia and performed shows in Mostar. In October 1995, Clowns Without Borders Spain continued its action in Bosnia, this time in Tuzla. In October 1995, Clowns Without Borders Spain went on a mission in Dajila, among refugees from Saharan refugee camps. In 1995, Clowns Without Borders Spain traveled to Kenya to attend the many nomad Somalian refugees living in the North-East of the country. In September 1995, Clowns Without Borders Spain continued its action in Bosnia and performed shows in Sarajevo.